Now I feel so fortunate to be in the position to help others to confidently approach their exams and elevate some of the pressures put on them by themselves and others. 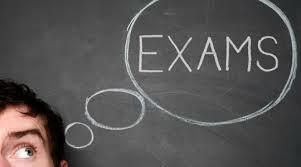 Anxiety, stress and even depression are common states in student life, especially around exam time, however when you feel that your condition is beginning to interfere with everyday life then it is time for you to seek help. For some people just the mention of examinations or thinking about assessments, presentations or assignment deadlines can lead to some of these reactions: Sweaty palms, dry mouth, feeling sick, feeling shaky in the legs and abdomen, feeling tearful, becoming fearful, panicky, wanting to escape, heart pounding, can’t concentrate, mind wandering, can’t sleep, feeling tired, finding reasons for lots of sleeping, can’t eat, or eating more than usual especially snack foods…. Hypnotherapy for stress and anxiety can help to reprogram the mind and promote new ideas through suggestion. By working directly with the subconscious we can successfully overcome any resistance we usually meet when trying to alter and adjust our feelings, behaviours and habits. Changes can be noticed from the first session. We will work with you to define your stressors. Explain and mange your symptoms for panic attacks and feelings of anxiety. Work with you to improve your confidence and self esteem. At Change in You Therapies we pride ourselves in working with the individual. We understand that every person has their own set of difficulties and strengths. The positive effect of hypnotherapy can be noticed from the first session. We aim to provide a tailor-made service for our clients, working from the comfort of their own homes or our safe and comfortable venues. Our sessions leave the client equipped not only for impending exams or assessments but with tools to manage stress and anxiety in other areas of their lives. We look forward to working with you, making real life changes through Hypnotherapy. Please note- we in no way guarantee your results in your examinations or assessments.